With the current production of “Waiting For Godot” at St. Louis Actors’ Studio, we had one of several discussions about the correct pronunciation for Godot at the West End Pub and Grill after the opening night performance. Evidently Samuel Beckett said “God-oh” is correct even though most productions in the U.S. have always used the “Guh-doe” form until the latest Broadway production last year. The pronunciation was even discussed on one of the early morning news shows with members of the cast. But the proper way to say “Godot” seems less significant than the play itself and the various interpretations of what is really happening during those two acts on the country road with that ever-present tree. If you’ve ever pursued theatre courses in college, you probably came across class sessions or even entire classes studying Beckett’s masterpiece. Even though some scholarly works have referred to Estragon and Vladimir as resembling Laurel and Hardy (mainly because of the bowler hats and their similarity to a vaudeville team). In my review of the STLAS production, I found Bobby Miller’s direction of the two closer to Abbot and Costello because of the rapid-fire exchange of dialogue- similar to such bits as “Who’s On First” and “The Susqeuhanna Hat Company.” But who do they represent and, for that matter, who do all of the characters represent? Which leads to the overall tenor of the play. Is it religious (with the obvious reference of God-ot), or is it political, social, or rooted in some other philosophical or moralistic theme? BTW, Becket said he got the name Godot from the French slang term for boot, godillot. Since boots play a major role in the play, that may be true. Besides, the play was orginally written in French and the French word for God is Dieu. More food for thought. Then there’s all of the other underlying questions about characters, setting, dialogue and everything else that make this enigmatic play so fascinating even though it deals with “nothing.” My advice? Go see the STLAS production and revel in the sheer joy of wonderful performances and a crisp, clean production. Then come up with your own theories on what it all means. We’re entering on a busy May theatre schedule, but several groups are announcing their new seasons coming up soon. Let’s take a look at what they have in store. This summer Insight Theatre Company will offer a well-timed Tony winning musical along with several plays, a children’s production and a very special guest. – Neil Simon’s “Chapter Two”- May 29th-June 9th with a special luncheon with Marsha Mason on June 9th. She, of course, was Neil Simon’s personal “chapter two”- his second marriage. – “1776”- June 26-July 7th. Just in time for Independence Day. – “Charlotte’s Web”- July 19th-21st. – “Time Stands Still”- August 15th-25th. By playwright Donald Margulies. – “Our Town”- September 18th-29th. The classic Thornton Wilder story about a small town that becomes a microcosm of the universe. Contact Insight Theatre Company at 314-556-1293 for tickets or more information. – “The Cherry Sisters Revisited”- by Dan O’Brien. June 6th-16th. – “Parade”- the musical by Jason Robert Browne and Arthur Uhry. September 6th-15th. – “Oh Hell!- An Evening of 2 One Acts”- December 6th-15th. The plays include “Bobby Gould In Hell” by David Mamet and “The Devil And Billy Markham” by Shel Silverstein. “Bobby Gould” will be directed by Michael James Reed who played Charlie Fox to Christopher Hickey’s Bobby Gould in the New Jewish Theatre’s production of “Speed-The-Plow” which Mamet followed up with this one-act. The second one-act will be directed by Robert Ashton. 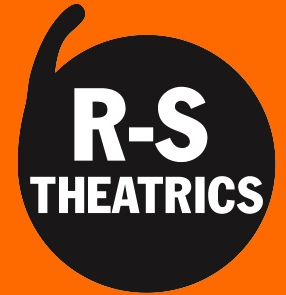 Visit R-S Theatrics’ website, http://www.r-stheatrics.com to get more info. This entry was posted on April 24, 2013 at 9:43 am04 and is filed under Uncategorized. You can follow any responses to this entry through the RSS 2.0 feed. You can leave a response, or trackback from your own site.